If we are to believe the experts then the first few months of the year are the best time to start a new job search. Employers are looking forward to the future and potential employees are putting the past behind them, making New Year’s resolutions and making a concerted effort to improve their lot in life by looking for a new, better job. For these reasons there is often a flurry of activity in job market with newspapers and websites promoting the number of jobs they are advertising. We all want to get on in life and having a better job with improved pay and conditions is the key area to achieving this. So where do you start with a job search and, more importantly, how do you make a success of it? A job search isn’t something that should be done half heartedly. The more effort you put into it the more you will get out of it. Perhaps the key word when starting out is ‘discipline’. You need to be disciplined in your approach and methodical in the way you carry out your search. There are a number of good points that can help you achieve your goal and the amount of time and effort you put into each will determine how successful you are. Organise – If you are not organised in the way you approach a job search you may as well not even start. Organisation is the key to most things in life and looking for a better job is no exception. From day one you should make yourself some ground rules and then stick to them; be disciplined. 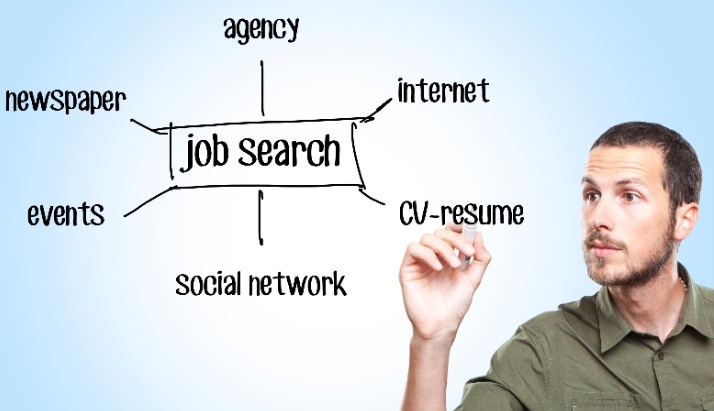 To start with make a list of the areas that you will look at in your job search. Ask yourself if you want a complete change or want to stay in the same area. Whatever you decide try to focus on that particular area. If your energy is spent looking at other areas that, ultimately, you will reject anyway, then you are wasting your time. CV – The CV, or curriculum vitae, is the first thing a potential employer will receive from you. It’s how they will get their first impression of you and even if it is just a piece of paper it is the only evidence on which a potential employer has to base his decision on whether to give you an interview or not. Make it count. Your CV needs to be informative with personality. Do not leave any spaces or gaps and don’t include unnecessary detail. Think of it as getting someone’s attention in the same way a newspaper headline or a business card would. Once you’ve got their attention you’re likely to get an interview, that’s your opportunity to go into detail. Newspapers & Internet – Regularly check the local and national press for job opportunities. Think of your job search as a job in itself and dedicate your time accordingly. If you put the hours in you’ll see the return. Your ideal job may only be advertised 2 or 3 times a year. Make sure you’re poised when it does get advertised. Also search the internet, many companies now only advertise on the net for financial reason or because they want people who are computer literate. Sign up for email alerts and newsletters on the sites that offer them, that’ll mean that you’ve got other people helping you in your job search. It’ll also show a potential employer that you have initiative. Aim High – Finally, don’t be afraid to apply for jobs that you don’t feel you have enough qualifications or experience for. Most people going for new jobs can do 80% of the work from day 1 but need training to fulfil the other 20%. Employers will factor this into any decision they make.